The NutriMill Plus is the newest member of the NutriMill Grain Mill family. 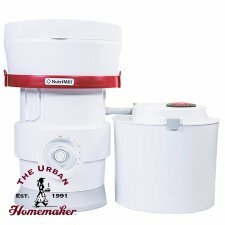 Allows you to grind your non oily grains into fresh, nutritious flour. 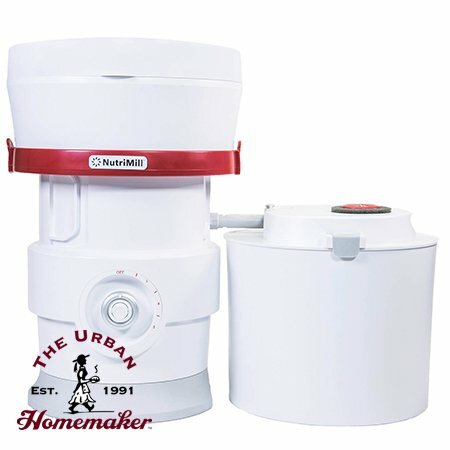 This high speed grain mill has a collapsible hopper that allows for compact storage. The patent pending 4-stage filtration system makes for a cleaner, safer milling experience. Meet the newest member of the NutriMill Grain Mill family: the NutriMill Plus! Comments: This machine does a wonderful as-clean-as-possible job of milling grain. I love mine!